“I’m the guy with the big feet but plenty of nerve” sings Joe as he tells the cutest girl in the room to go ahead and dance without him while he watches. 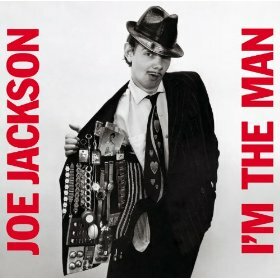 Jackson’s first two albums, Look Sharp! and I’m the Man, both released in 1979, were full of seemingly effortless pop ditties like this. He’s explored a lot of other territory since, from Louis Jordan-style big band jazz to his latest release, a tribute to Duke Ellington. But for fans of pure pop, the early stuff is essential.